The final day of the challenge is here, and what a full on 31 days it has been. As there were a few of us doing the challenge together, we decided to change up the final day and re-create/copy someone else's. For me this was an easy choice, as the mani I chose was just stunning, and it was something I'd never done before. Bring on the mosaic nails! 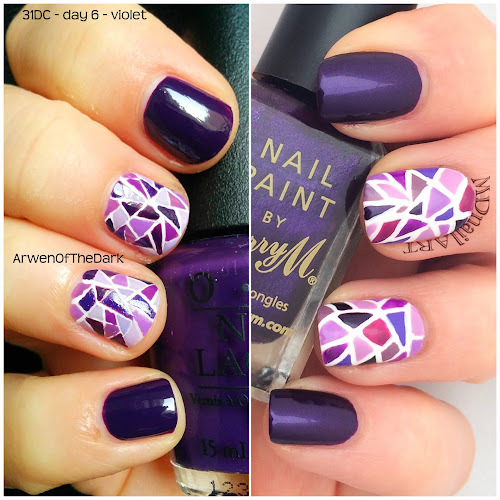 +Magali Neuville-Bisceglia (Instagram - Arwen Of The Dark) shared her mosaic nails for Day 6 - Violet, and I fell in love. As soon as I saw them, I knew that was what I wanted to finish off with. I had to buy some extra purple shades to do this, but I didn't mind as it is a colour I lacked a variety of in my stash. 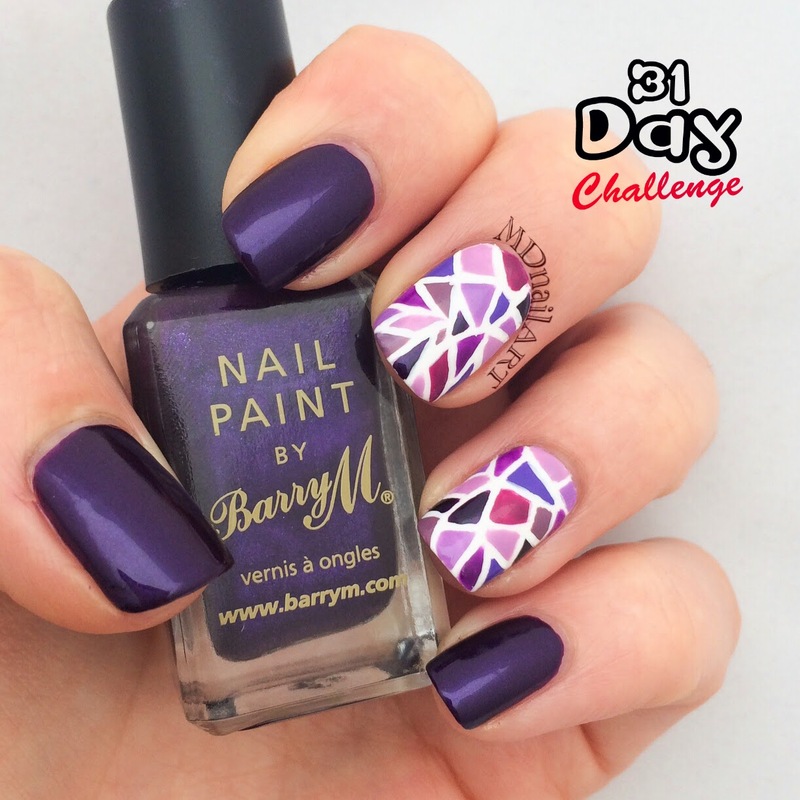 I used Barry M - Vivid Purple as my main colour, and Models Own - HyperGel White Light, as my mosaic base. I do hope to try this design again in the future, it wasn't nearly as scary as I thought it would be. It's one of those, "just go for it", designs. Remember to check out everyone else's nails for the challenge today. And if anyone has any tips on HTML code for putting in a thumbnail grid with links, please do drop me a note. I'm hoping to wrap this up nice and neat.